There seem to be more backers of the theory that Brent is winning the crude battle of the indices. I certainly believe Brent provides a much better picture of the global oil markets over WTI. Back in May 2010, I blogged that David Peniket, President and COO of Intercontinental Exchange (ICE) Futures Europe, gave Brent his backing. SocGen joined the ever-growing chorus last week. In a note to clients, the French banking major noted that Brent is a much better barometer of the global oil markets, where both crude and product demand have been strong. Additionally, oil field technical problems have caused some supply losses in the North Sea and planned pipeline maintenance at the Gullfaks field, in Norway, was also announced last weekend. Moving away from the North Sea, news has emerged that Roseneft and ExxonMobil have penned a deal for oil and gas exploration in the Black Sea, though intricacies and value of the deal is as yet unknown. Finally, SocGen’s Mutual Fund & ETF report published last week makes for interesting reading; a sort of a continuation of trends noted by the wider market in general. It notes that the commodity rally was supported by US$23 billion inflows in 2010 (click on graphics to enlarge). Over the past 6 months, the rally in commodity prices has been significant (CRB index +27%) and directly associated with the expected pick-up in demand, but reallocation to protect against inflation has clearly played a role as well. However, SocGen observed that Precious metals, and not energy, dominated commodity inflows. Precious metals were by far the largest category in commodity ETPs (including ETFs, ETCs and ETNs) accounting for 76% of US$157 billion assets under management and they continue to attract most of the inflows. Both the IEA and OPEC are now more upbeat about the global economic recovery over 2011, which could mean only one thing – an upward revision of global crude oil demand. 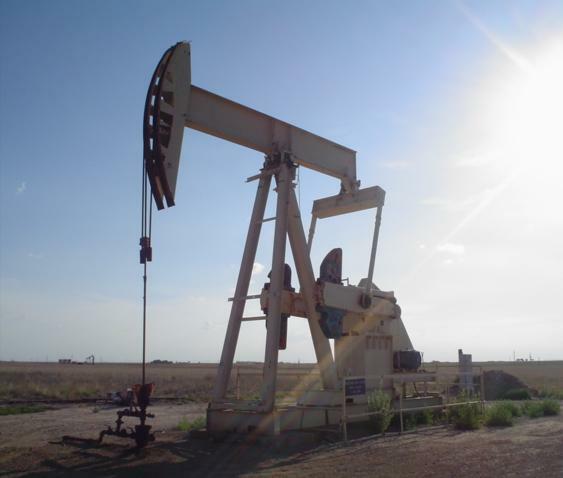 Starting with the IEA, the agency says it now expects global crude demand to rise by 1.4 million barrels a day in year over year terms over 2011 to 89.1 million barrels per day; a revision of 360,000 barrels per day compared to its last forecast. OPEC also revised its global oil demand forecast putting demand growth at 1.2 million barrels a day for the year; an upward revision of 50,000 barrels per day from its last estimate. In its monthly report, the cartel also noted that demand for its own crude is expected to average 29.4 million barrels of oil per day in 2011; an upward revision of 200,000 barrels over the previous forecast. Both OPEC and IEA expect the increase in crude oil demand to be driven entirely by emerging markets, while OECD demand is projected to reverse to its "underlying, structural decline in 2011," according to the latter. Their respective response to the forecasts is one of understandable contrasts. Nobuo Tanaka, head of the IEA, said a subsequent "alarming" rise in the oil price would be damaging. "We are concerned about the speed of the rising oil price, which can harm the growth of economies. If the current price continues, it will have a negative impact," he added. However, OPEC remains unmoved, as the forward month futures spread between Brent and WTI crude continues to widen to US$5-plus in favour of the latter. Both benchmarks lurk close to the US$100-mark. OPEC’s position unsurprisingly is that the market remains well supplied. Cartel members UAE, Iran, Venezuela and Algeria say they are not concerned about a US$100 per barrel price. In fact, Venezuela's Energy Minister, Rafael Ramirez, described the price of $100 as "fair value" while speaking to the Reuters news agency. There are no prizes for guessing that an emergency meeting of the cartel to raise production is highly unlikely! Now to the BP-Rosneft tie-up which sent the markets into a tizzy. In a nutshell, news of BP’s acquisition of a 9.5% stake in Rosneft which in turn would bag a 5% stake in BP was good, but it did not quite merit the response it got. Markets cheered it; environmentalists jeered it (given the open invitation to dig in the Arctic). Rest of the narrative is a bit barmy. First of all, agreed it is a solid deal but given the involvement of a company 75% owned by the Russian government – I am unsure how it would be instrumental or for that matter detrimental to the UK’s petroleum security. Surely, the jury should still be out on that one. Secondly, this in no way implies that BP has turned its back on the US market in light of recent events as some market commentators have opined. Finally, it is more of a marriage of convenience rather than a historic deal. Rosneft needed technical expertise and does not care much for political rhetoric in western markets about digging deeper and deeper for crude. BP needs access to resources. Both parties should be happy and it is rumoured in the Russian press that TNK-BP would also like a slice of the potentially lucrative Arctic ice cake. Away from the main event, the sideshow was just as engaging. Curiously city sources revealed that BP did not use its preferred broker JPMorgan Cazenove, but rather opted to go with London-based Lambert Energy Advisory. It did amuse some in the City. All I can say is good luck to Philip Lambert. Finally, talking of the little guys in this crude world – have you heard of AIM-listed Matra Petroleum? Last I checked, this independent upstart expects to be producing a rather modest 600-700 barrels per day by H1 2011 and its share price is around 3.52p. 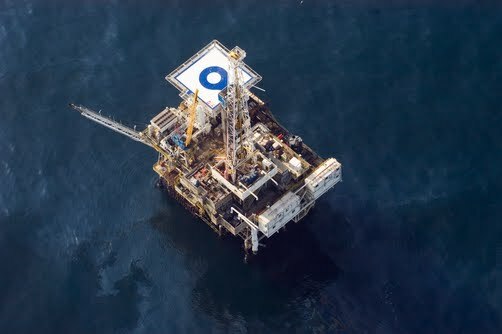 So assuming, Brent caps US$100-plus by end of H1 2011 and Matra delivers – the share price could treble in theory. I am not making a recommendation – let’s call it an observation! I must say the New Year has commenced with a flurry of crude news. Traders and oil men had barely resumed work for the first trading day of 2011 that the IEA declared rising oil prices to be a risk to economic recovery. In a publication on Jan 5th, the agency said oil import costs for OECD countries had risen 30% in the past year to US$790 billion which is equal to a loss of income of 0.5% of OECD gross domestic product (GDP). Speaking to the BBC’s world service, IEA’s Fatih Birol said, "There is definitely a risk of major negative implications for the global economy." I agree and accept this, but truth be told we are some way away from a US$150-plus per barrel high. This morning though, the Brent forward month futures contract was flirting with the US$100 mark. The cold weather we have had either side of the pond does generally tend to support crude prices. Analysts at SocGen believe the Alaska pipeline shutdown, following a leak, provided only limited support to WTI. Last weekend, a minor leak was discovered at Pump Station 1 on the Trans-Alaska Pipeline System (TAPS) causing a shutdown on the pipeline and prompting Alaska North Slope (ANS) production to be cut from 630,000 bpd to just 37,000 bpd. The pipeline, which carries almost 12% of US crude output, should be restarted "soon", according to its operator Alyeska which is 47% owned by BP, while ConocoPhillips and ExxonMobile have 28% and 20% stakes respectively. Continuing with forecasts, a new report from ratings agency Moody’s notes that oil prices should stay "moderately high" in 2011, boosting energy companies that produce crude and natural gas liquids, but weak natural gas prices will continue to dog the energy sector this year. More importantly, rather than the volatility of recent years, Moody's expects a continuation of many of the business conditions seen in 2010, despite the Macondo incident. Steven Wood, managing director of Moody's Oil and Gas/Chemicals group believes that certain business conditions will tighten during the year, and pressures could emerge beyond the near term. Moody's price assumptions – which are not forecasts, but guidelines that the agency uses in its evaluations of credit conditions – call for moderately high crude prices of US$80 per barrel for 2011, along with natural gas prices of US$4.50 per million Btus. Elsewhere, a US government commission opined in a report that 'bad management' led to BP disaster. Across the pond in London, a parliamentary committee of British MPs raised "serious doubts" about the UK's ability to combat offshore oil spills from deep sea rigs. However, they stopped short of a calling for a moratorium on deep sea drilling noting that it would undermine British energy security.